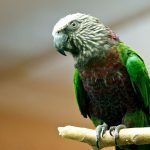 Cape parrots are a species of large Poicephalus parrots that are gaining popularity as pets due to their endearing characteristics. 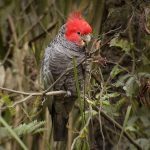 Originally thought to be a subspecies of P. fuscicollis, alongside the brown-necked parrot and grey-headed parrot, it has since been given its own distinct species. 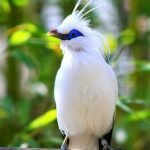 Sounds and Talking Ability Loud and vociferous; there are four distinguishable calls, zu-weee, zz-keek, tzu-weee, and a more nasal zeeeek, soft sounds made when relaxed, piercing screech emitted during flight. Diet Fruits of Podocarpus and other trees throughout its habitat; also prefers to eat fruits like apples, cherries, acorns, pine seeds, plums, and eucalyptus flowers. 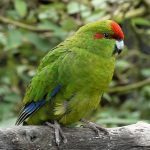 The shy disposition and the lack of necessity of constant attention of the cape parrot have made it into a much sought-after pet, but there are some things that must be borne in mind while owning one. These points have been mentioned below. 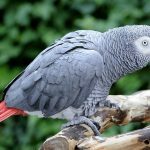 If you can afford a walk-in aviary then get one with a length of at least 7 ft (213 cm), the bird can also be comfortable in a cage with dimensions of 4’x4’x4’. Provide it with destructible toys like vegetable tanned leather, wooden blocks, sterilized pine cones, as well as non-destructible ones. 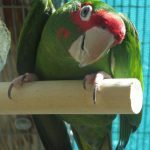 Also install some parrot perches made of natural wood for the bird, as it will help in keeping the nails and beak in shape. 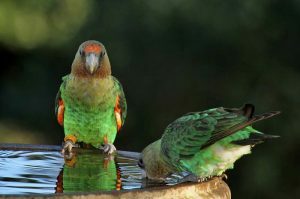 Temperatures between 50°F-90°F (10°C-32.2°C) should be comfortable enough for your cape parrot. 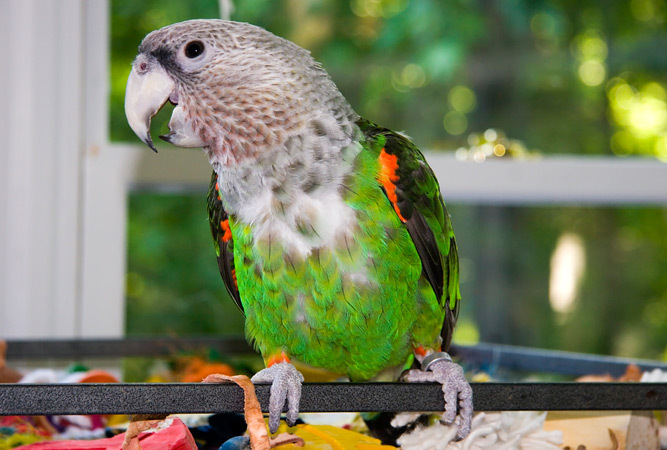 They are an affectionate bird but not overly demanding of the owner’s time as long as they have their toys to keep themselves busy with. They are very energetic. To overcome its shyness, it must be exposed from as tender an age so that they can adjust to new situations in a better manner. 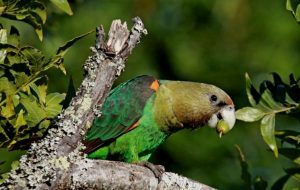 Your cape parrot can be fed apples, oranges, bananas, cooked pulses and beans, boiled corn, wholegrain bread, carrot, cheese (low fat), celery, peas in the pod. 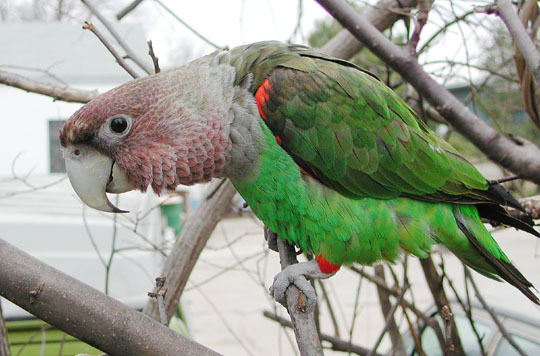 As with all parrots, do not feed your pet avocado and chocolate as they can be potentially toxic for the bird. The bird must be bathed regularly, preferably with a mist-spray. You can allow it to dry itself under the sun, or use a blow-dryer for the purpose. 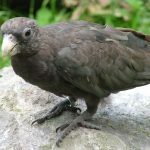 Trim the nails to avoid injury to yourself, and clip the wing feathers just enough so that when the bird takes flight, it glides down to the ground, thus avoiding injury, especially with heavy-bodied birds, who crash down to the floor if the wings are clipped too much. 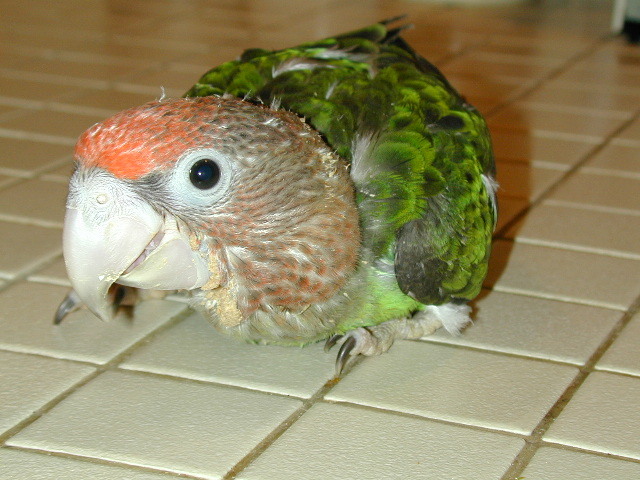 Clean the enclosure of the bird on a regular basis. Make a trip to the vet on a routine basis to keep the chances of such complications arising to a minimal. 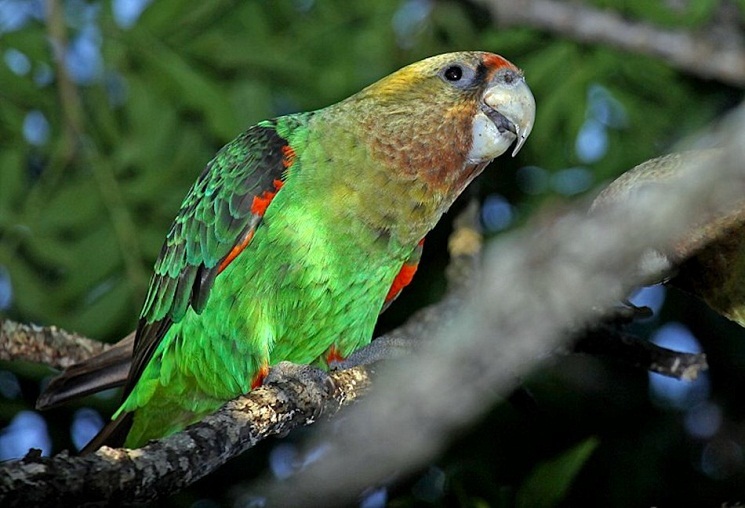 The price of a cape parrot is between $3,000-$3,500. 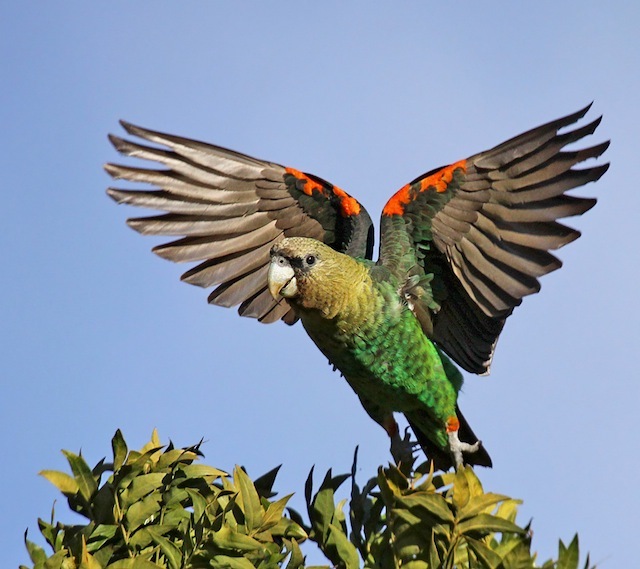 The population of cape parrots in South Africa is believed to be in decline owing to the destruction of the natural habitat of the bird, and its rising popularity in the pet trade. The Cape Parrot Project has been undertaken to stem the diminishing trend of cape parrot numbers.